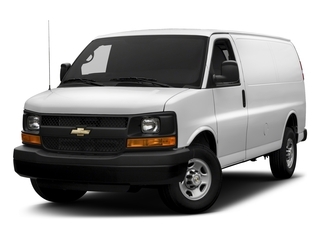 Introduced in 1996, the Chevrolet Express full-sized van has been a celebrated workhorse for commercial cargo van. Available in a 1500, 2500 and 3500 level, the 1999 Chevrolet Express Cargo Van, there were four gasoline engines or a turbocharged diesel option able to supply power to move the vehicle. With considerable cargo space inside, the Express Cargo Van featured up to 267.3 cubic feet with the regular wheelbase body or 316.8 cubic feet when employing an extended length body style. Rear doors of the cargo van swing wide open for easy loading and unloading of items. For 2003, the Chevrolet Express Cargo Van was treated to a massive upgrade. 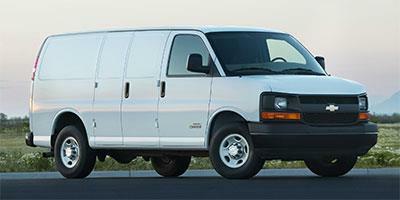 In addition to a reworked front end, the 2003 model year Express Cargo Van provided more power Vortec V-8 engines. A new 4.8-liter eight-cylinder powerplant replaced the 5-liter engine in the 2500 model. The Vortec 4800 4.8-liter generated 270 horsepower (resulting in a 50 horsepower increase over the engine it replaced). There was also expanded availably of a 200-horsepower 4.3-liter V-6 engine on the Express Cargo Van providing a fuel-efficient Chevrolet full-sized van across all 50 states. Standard anti-lock braking system and an available left-hand side door were also additions for 2003. Standard on the Express Cargo Van 3500 but optional on the 2500 model starting in 2006, a 6.6-liter Duramax diesel engine choice delivered up to 460 pound-foot of torque. 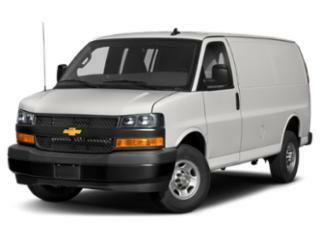 For 2010, the Chevrolet Express Cargo Van received a series of mechanical improvements improving handling and fuel economy. All gasoline V-8 engines received variable valve timing and featured FlexFuel compatibility allowing it to run on E85 blended fuel. On 2500 and 3500 levels of the 2010 Chevrolet Express Cargo Van, a six-speed automatic transmission delivered smoother power delivery. The Express Cargo Van was designed to meet the needs of small and medium businesses.